Nutmeg known as ‘jaiphal’ in Hindi can be found in the array of spices present in kitchens. This very popular spice which looks like a walnut is not only famous for its aromatic flavor but also for its health favors. -Sleep issues? Drinking a glass of milk with powdered nutmeg can give you a nice sleep. -Nutmeg helps increase concentration and removes stress, fatigue and depression. It also protects the brain from diseases such as Alzheimer’s. -Applying nutmeg oil to inflamed areas gives relief from muscular and joint pain. 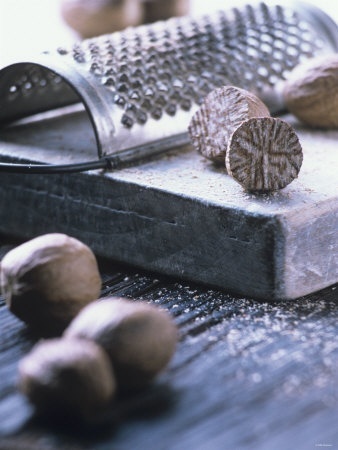 -Nutmeg helps treat digestive problems and also boosts the appetite. -It helps detox kidney and liver. It also revs up the blood circulation. -Applying a paste of ground nutmeg mixed in water/honey can remove blemishes and give clear skin. -Potassium, calcium, iron, manganese and other important minerals found in this spice help keep the immune system strong.